Mercury has a vast region of smooth volcanic plains surrounding its northern polar region, wrapping over a third of the way around the planet. 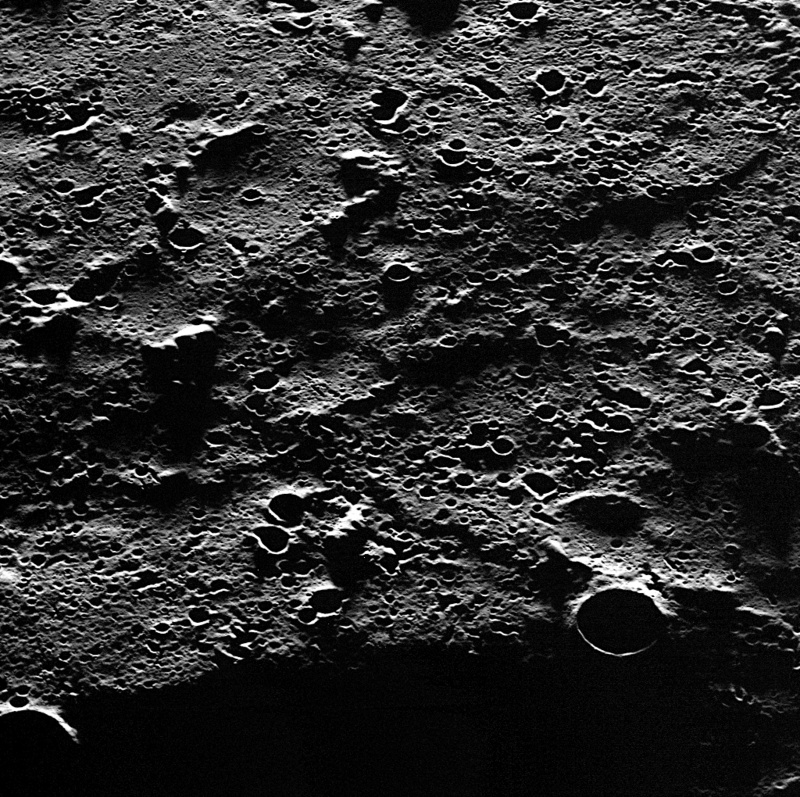 But even though the plains are called smooth, they are still characteristically rugged – made obvious in this narrow-angle camera image from MESSEGER acquired December 13. Being an area close to Mercury’s pole, the incidence angle of sunlight highlights every crater, ridge and rise… showing that “smooth” on Mercury is definitely a relative term! This image shows an area about 43 miles (70 km) across. Read more on the MESSENGER website here.